Happy Friday! I am linking up with Eat Pray Run DC, Mar on the Run, and You Signed Up for What?! for their Friday Five Linkup. This weeks topic is favorites. I’ve decided to write about my five favorite running items right now. Gloves – Gloves are a lifesaver. My hands get so cold easily since it’s colder out and gloves keep my hands warm and protected. 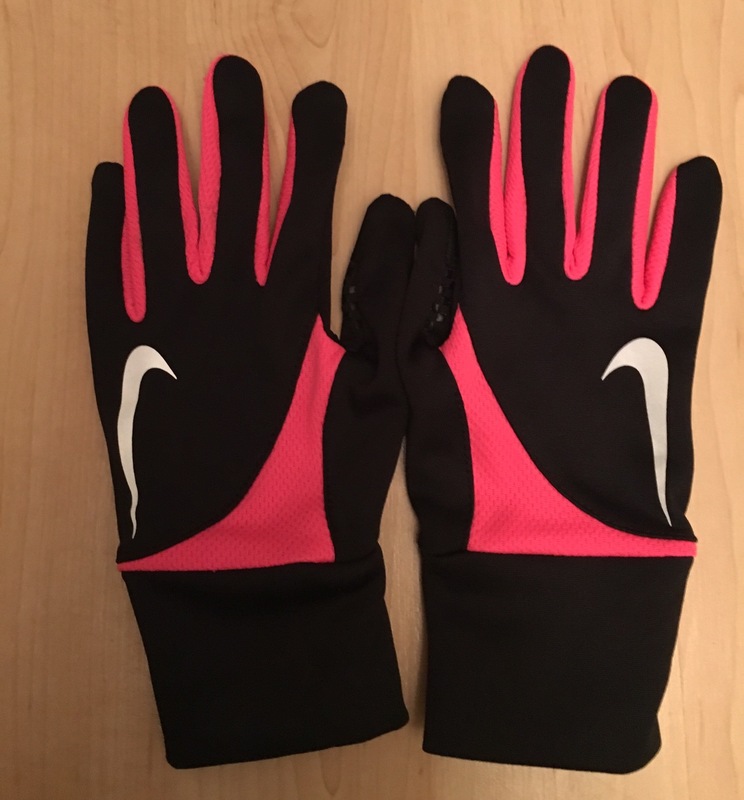 These Nike running gloves work great. 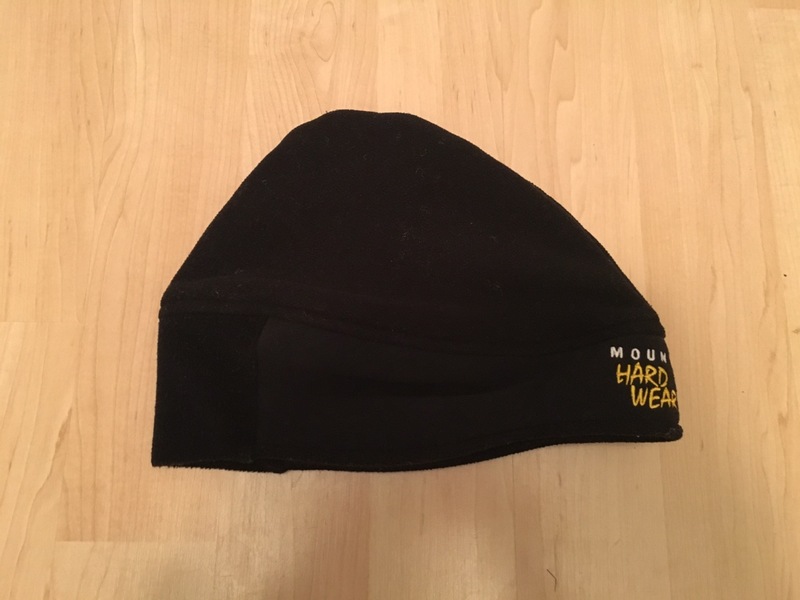 Beanie – I always wear a hat when I run but when it’s really cold out I wear a beanie like this so my ears are covered. Running Vest – I like wearing a vest since it keeps me warm without getting too hot. I got this one for Christmas and love how it’s so reflective. It’s the Sugoi Zap Run Vest. 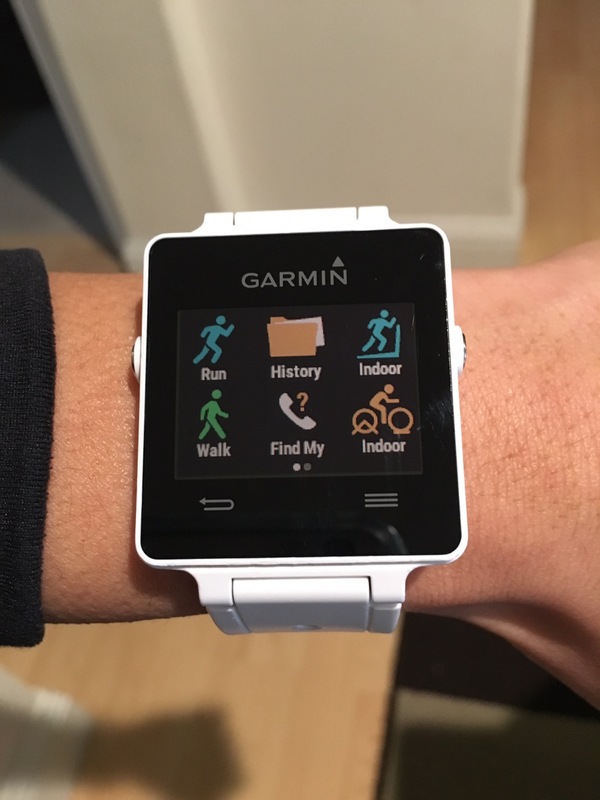 Garmin Vivoactive – It’s still my favorite running watch. I tried the Garmin Forerunner 235 and didn’t like it as much as the Vivoactive. Here’s a link to my Vivoactive review I did a while back. 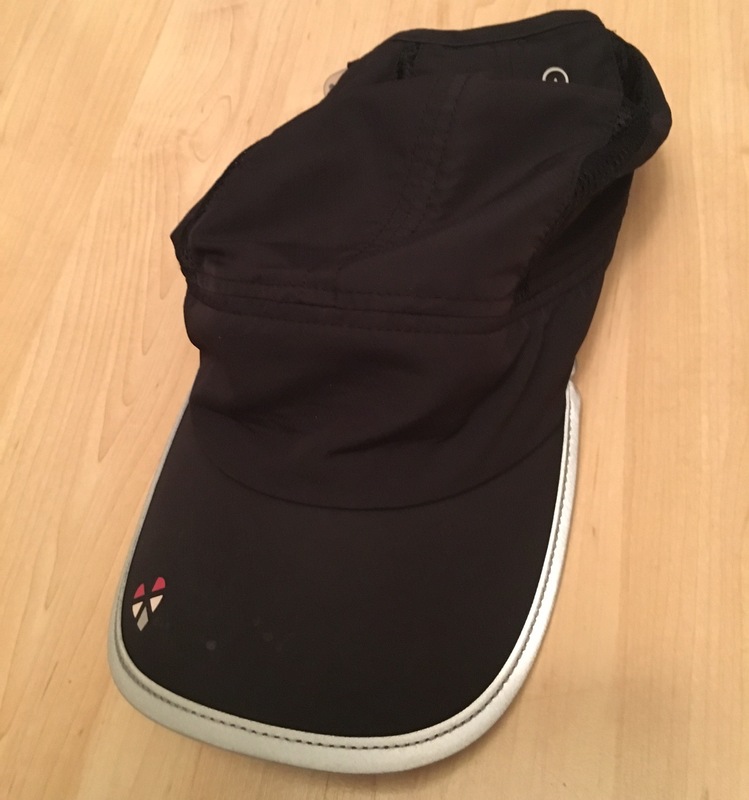 LifeBeam Hat – I really love this hat since it’s my heart rate monitor. There’s no need to wear a chest strap so its awesome! It pairs with my Garmin too. What is your favorite running item right now? Oh, a few folks in my running group have that awesome Sugoi vest. Love it! It reflects back like a piece of shiny art! I have the same pair of Nike gloves and love them. 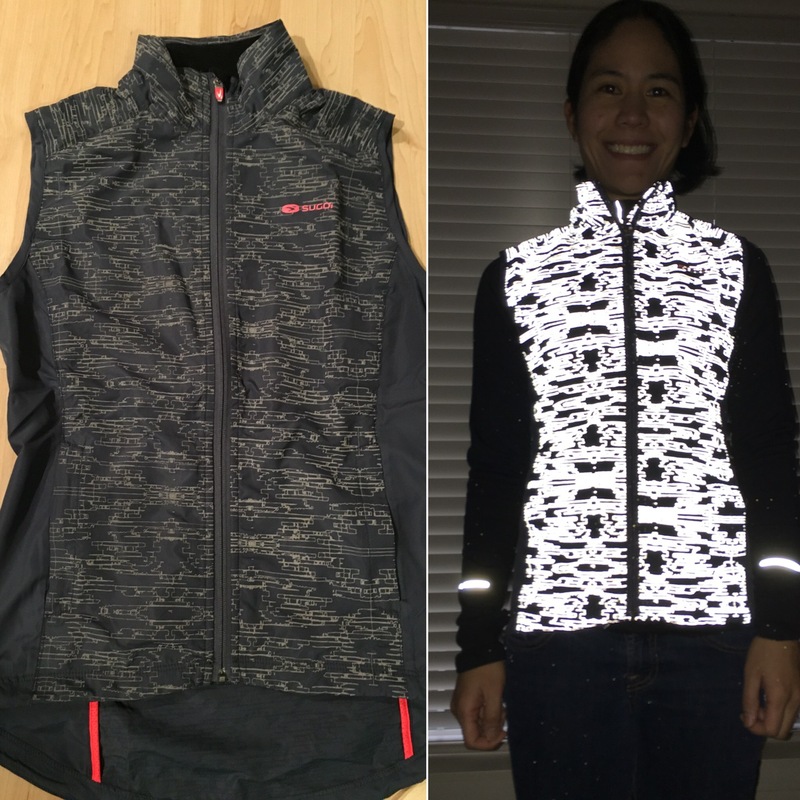 That reflective vest is amazing and is perfect for early morning and night runs, plus it is so attractive! I wear the ugly yellow reflective vests, but that is so much nicer. Yes, the gloves rock! I was happy to get the vest for Christmas. I run early in the morning sometimes and no longer have to wear my add on reflective belt. It’s great! My favorite running item has been my Garmin Forerunner but I may need to look into upgrading since the battery life on that one is not very long! Nice! I was disappointed in the Garmin 235’s battery life, due to the HR monitor. The Vivoactive lasts so much longer. I’m with you there on the gloves. It’s been so cold here (I live in Kansas), and I am a native Floridian, so I really don’t do cold very well. 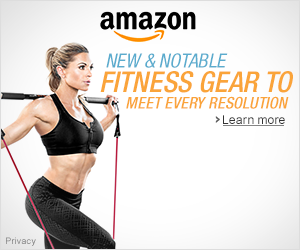 I’ve never heard of a hat that’s also your heart rate monitor! Very cool! I wear hats a lot in summer so may need to look into that. My fingers are always popsicles, so I always have to wear two gloves–usually a pair of gloves and mittens over top–so they don’t freeze to the point that they fall off! Nice, love the LifeBeam hat! I don’t like using the chest straps. A hat is so much easier. Wow, must be really cold where you live to wear two pairs of gloves! Awesome vest!!! I love the idea of the hidden reflectors but I just can’t seem to pull the trigger and actually buy one. Lol. Happy Friday! Thanks! I was happy to get it as a gift, lol. Happy Friday to you too! I have a new vest as well and I LOVE it! Thanks for linking up! The vest looks awesome!! I love my Garmin Forerunner 230! Sorry to hear the 235 didn’t work for you. Pretty cool, huh?! I think I’m so used to the vivoactive being touch screen it was a total change. The vivoactive seemed like it was easier to get used to. I misplaced my gloves a week ago and its been a tough week running without them ! I need a new pair… I have looked everywhere. And it going to be cold tomorrow. Shame on me. Oh no! Hope you found your gloves or get new ones soon! Nice, vests are great! I really like the Lifebeam hat too! My favorite running item has to be my iPhone. Music, camera, tracking…all in one handy dandy device. I just blogged about my favorite running items, too. I’m in Iowa, and it gets cold here in the winter, but I prefer a vest over a coat. Like you said, it keeps me warm without the extra bulk. Love that running vest! I have a couple fleece vests that come in handy, but nothing quite like that!